Holly Walker shreds down the fluffy cold smoke. It was deep, too deep. The fluffiness was up to my waist and after five minutes I didn't have the energy to go on. Mike Ship laughed at me while he pushed ahead, moving at a slow pace but breaking the trail. We skinned across the deep open flats with over 60cm of fresh snow and continued up 'Merlot' hill through the trees. The avalanche risk was high due to the ongoing storms and as we continued to ascend in the dense old growth spruce trees, we witnessed a size 2 slab avalanche on the open slope of the mountain across named 'Shiraz'. 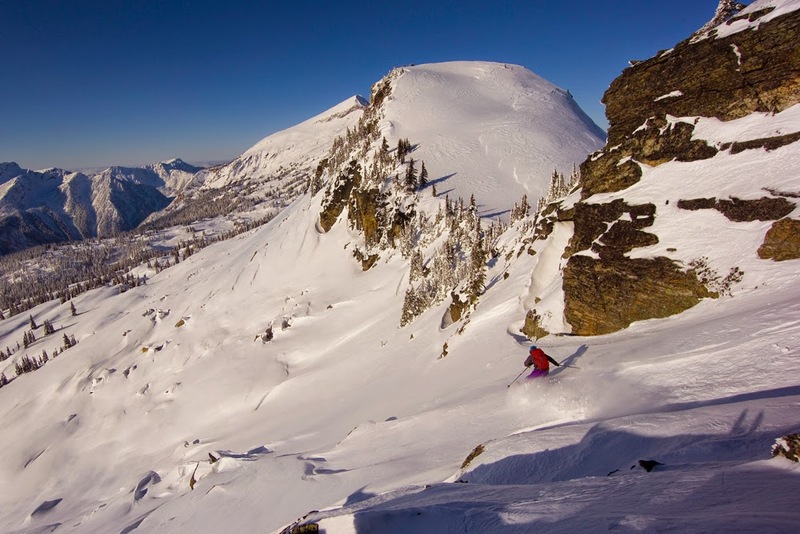 Holly Walker ski tours out to Zone 3 at Sol Mountain Lodge in the Monashee Mountains. As Mike and I skinned back to Sol Mountain Lodge, Steve and other friends were finally loading up the helicopter to fly home - a day late due to inclement weather. We had spent the week skiing pillow lines on Mount Baldur and ski touring to the summit of Sol Mountain in Zones 1 and 3. Steve, Carly, Rory and Darryl now all had jobs and other obligations awaiting them back in Revelstoke. My new friend Mike and I had no plans, just another week to continue skiing and exploring the 30,000 acre tenure, eat delicious home cooked meals and relax in the wood-stove heated sauna. 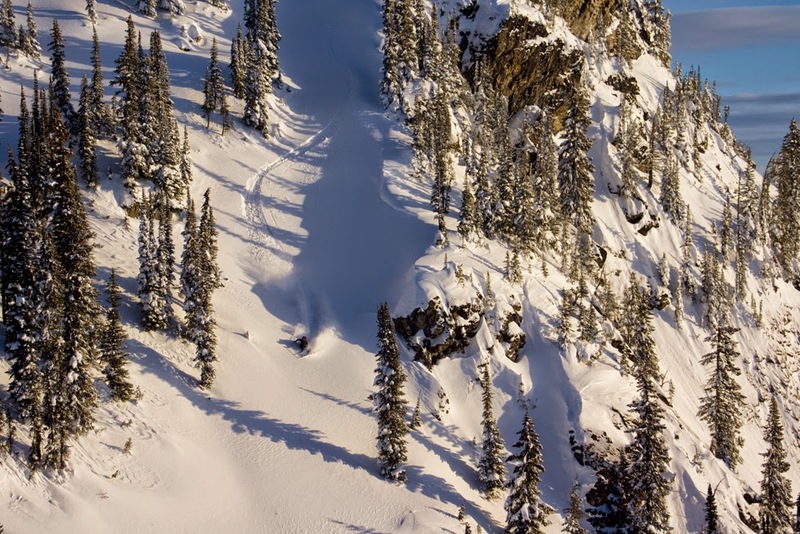 Holly Walker skis down a face in Monashee Mountains, British Columbia. As Steve and crew flew out, more of Mike's and my friends flew in for the first official week of Sol Mountain's backcountry ski lodge. Photographer Hans Christian Gulsvik from Norway, and Zebulon Blais and Aaron Finley from Lake Tahoe, had arrived to the Revelstoke two days earlier and were jonesing, jonesing hard for pow. They had not seen so much snow in over two years, let alone at the beginning of December. Zeb scopes lines over breakfast. 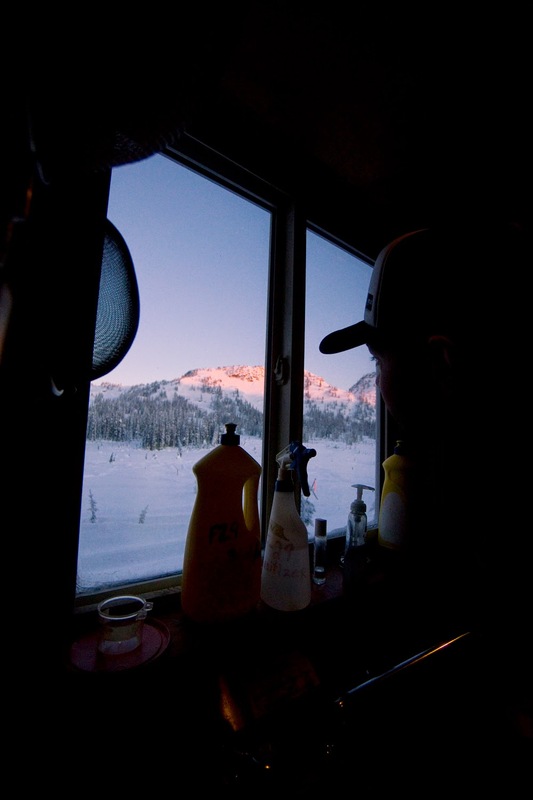 The sun rose at 7:02 a.m. the next morning and Zeb and Aaron had already eaten breakfast and were ready to put on their skis. 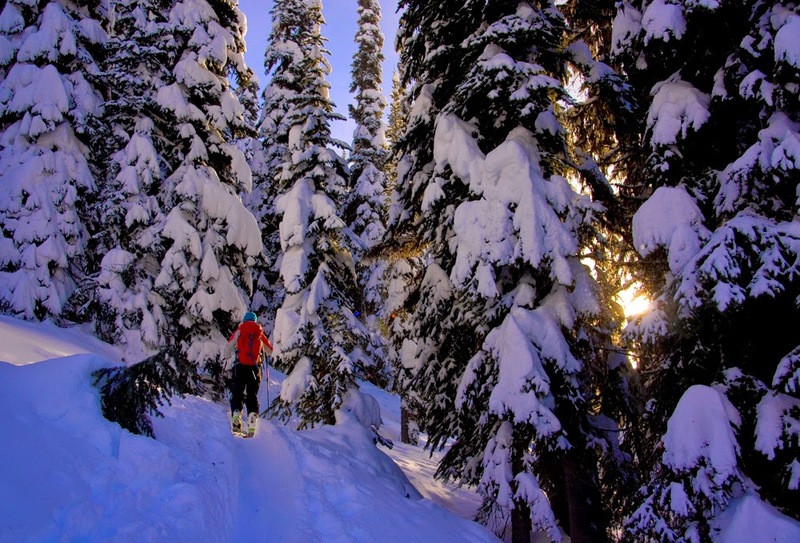 An arctic front had crept into the Monashee Provincial Park, bringing -30 degree Celcius temperatures and a clear sky. Hans and I joined the other two and we headed further out to Zones 4 and 5; avoiding the cold, crisp shade of north-facing slopes. With the sun setting, we felt content with our pow-filled day and frozen faces and began to dream of the toasty lodge and warm fireplace. With only 14 other guests and even more tenure to continue exploring, I now understood Aaron's advice… the options for untracked pow were truly endless. 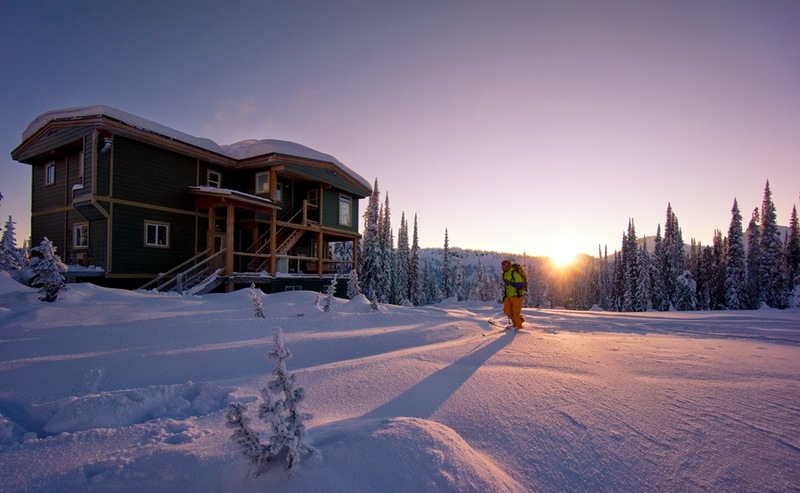 Zebulon Blais ski tours back to Sol Mountain Lodge in time for après-ski by the warm fire.